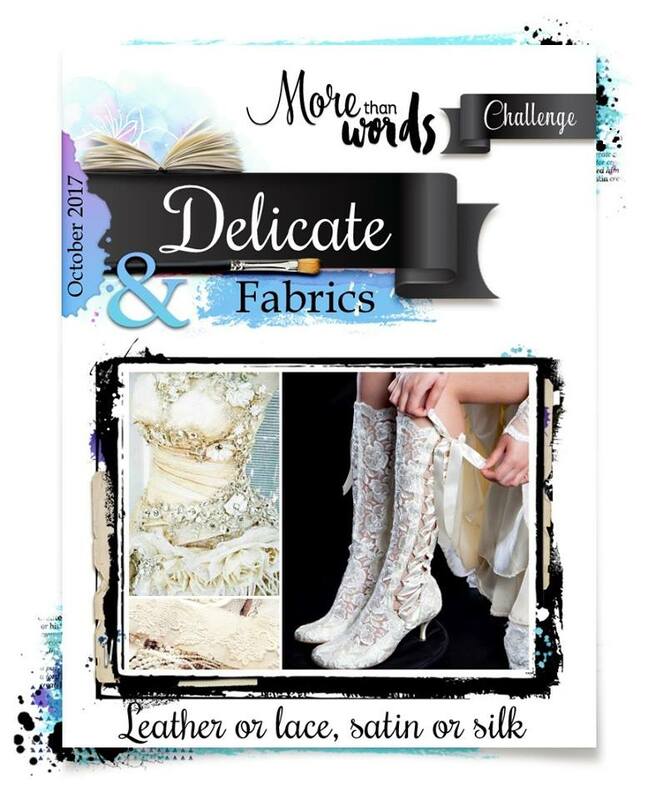 Over at morethanwordschallenge.blogspot.com the challenge for October is 'Delicate & Fabrics'. This made me think of the magnolia tree in my garden and the beautiful flowers that are so delicate, that as soon as the wind comes along the petals drop from the tree. For the fabric component I've layered lace trims under the photo, a lace flower motif, muslin, white cotton and I've made my own foamiran flowers. Overall, very pleased with the outcome. AC cardstock, Dina Wakley clear gesso, Chromocryl texture paste, TCW Balzer Designs stencil - mini believe script, Art Alchemy acrylic paint - opal magic blue gold, metallique lime peel, Art Alchemy sparks acrylic paint - butterfly spells, Petaloo mixed textures blossoms - ivory, Kaisercraft wooden flourish - fancy door knocker, Petaloo fancy trims - crochet lace trims, muslin, mini prills, Art Ingredients melange art pebbles, Art Ingredients art stones, white cotton, diy vellum flowers and diy foamiran flowers. I am totally in love with this! Perfect take on our challenge! So happy you could play along with us at More Than Words! Oh this is awesome! Fab photo and stunning background! It's so great you could join us at More Than Words this month. Beautiful layout :)! 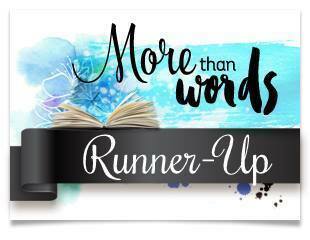 Thank you for playing along with us at More Than Words!